Keepin' It Country Line Dance Club has offerings for every level of dancer. Whether you are just starting out, have been dancing for a few months or even several years there is a session for you! KICLDC strives to be 'Scent Free'. Join KIC Co-Founder Joe Smith for an hour line dance session with some fun teaches and social dancing to introduce you to the world of Country Line Dancing! Perfect for those new to Line Dancing or those who are returning to dancing once again! KIC Co-Founder Gerry Smith teaches this next level Line Dance Class for those of you ready to expand your dancing repertoire. If you have been away from dancing for awhile this is also a great place to brush off those dancing boots and get back on the floor! Join Award-Winning Line Dance Choreographer and instructor Wendy Johansson for some fun and challenging Advanced Improver to Advanced Intermediate dances! Give your feet and brain the ultimate dance experience! Kick up your dancing boots as part of our Performance Team! 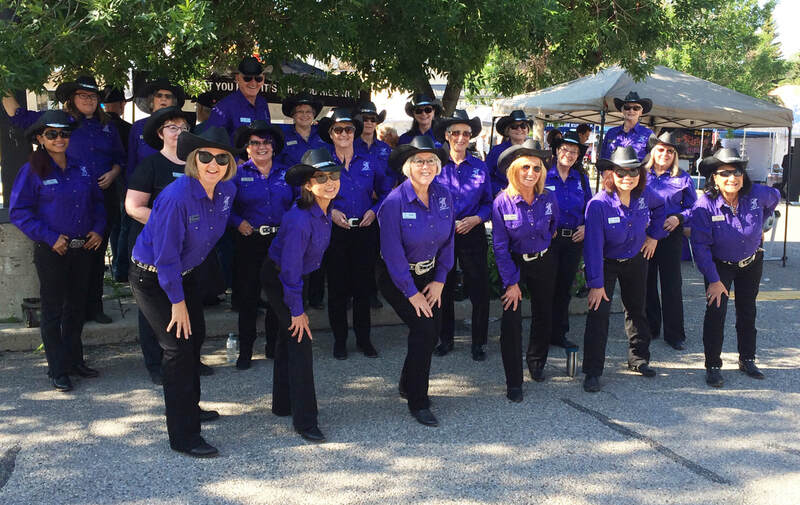 We love to line dance all year long, but performing at Stampede, Christmas, St. Patricks and special events throughout the year is a huge part of line dancing for this group! Contact Us to book Keepin' It Country's Performance Team for your next event!